The MadBox is a stripped Pro-cessor. Without the filter stages you can use it as a Paralooper or only the Mixing or the Splitter parts of it. Do i need to use a 3pdt footswitch on it ?? No, there is no need to switch it. 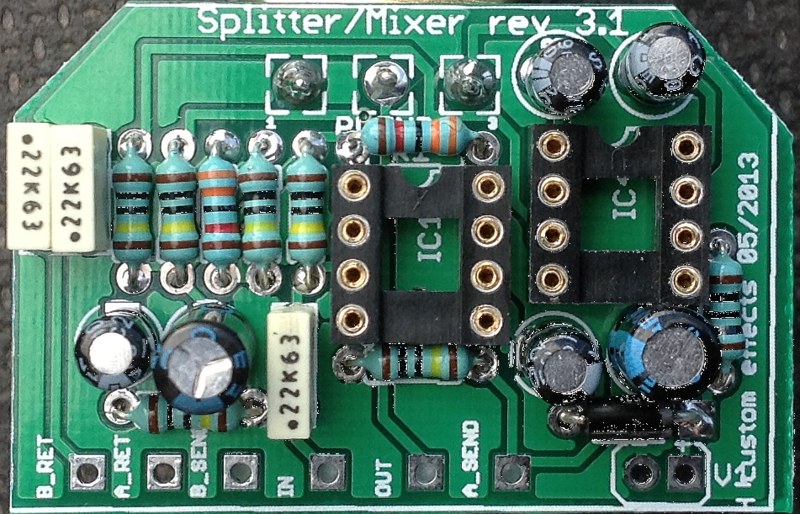 Can I use two PCBs to do a 4 in/out Splitter Mixer? Thanks!